Well, it seems I’m finally getting into the swing of this Christmas decoration business. Unfortunately though, there’s no getting around the fact that our tree decorations are all dark blue and turquoise, and my latest pale pink is just not going to match. I’m thinking a few more decorations though, and I’ll be able to make it into a lovely festive garland for above the mantel. Would that work do you think? 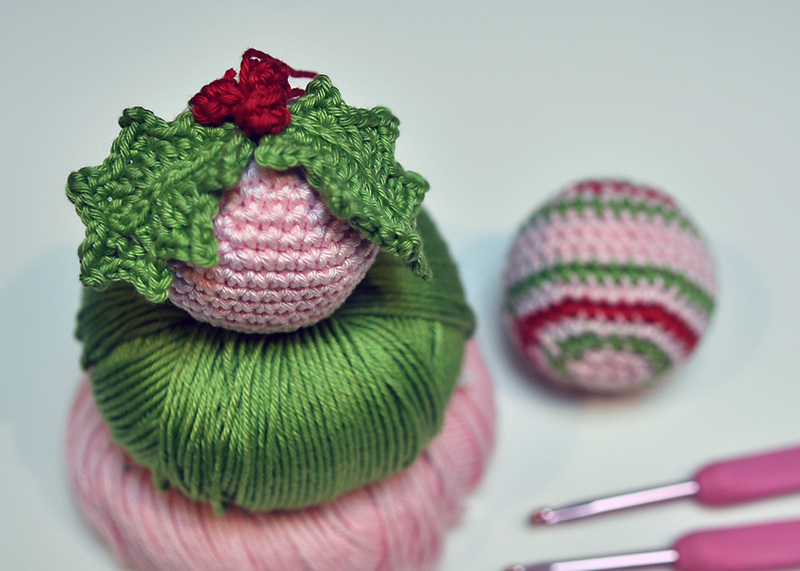 Instructions for the Holly Bauble are in this post. 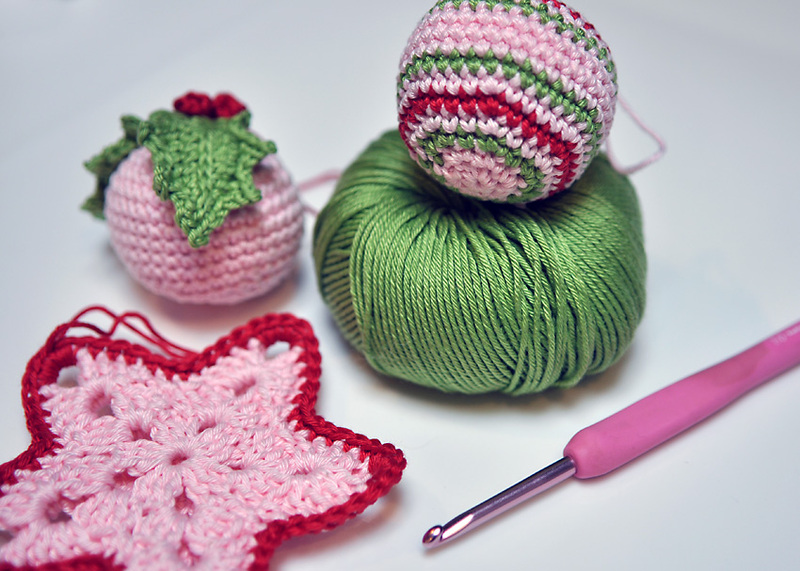 The star pattern is from Jelly Wares. I made two stars and joined together with a contrasting dc. 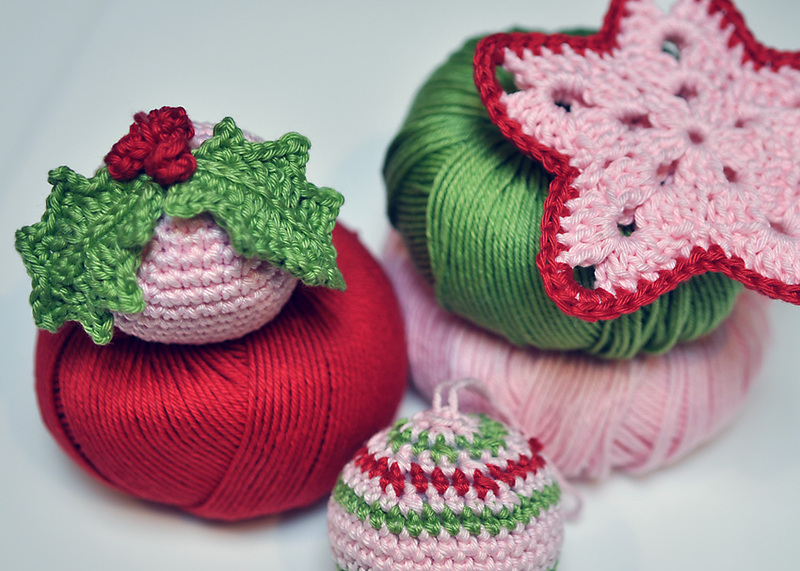 This entry was posted in Christmas, Craft, Crochet and tagged crochet christmas decoration, crochet holly, crochet stars by terrimm. Bookmark the permalink. They look so sweet. The star is fabulous! The garland is a good idea, or you could do a wreath! Oh my they are GORGEOUS!!! 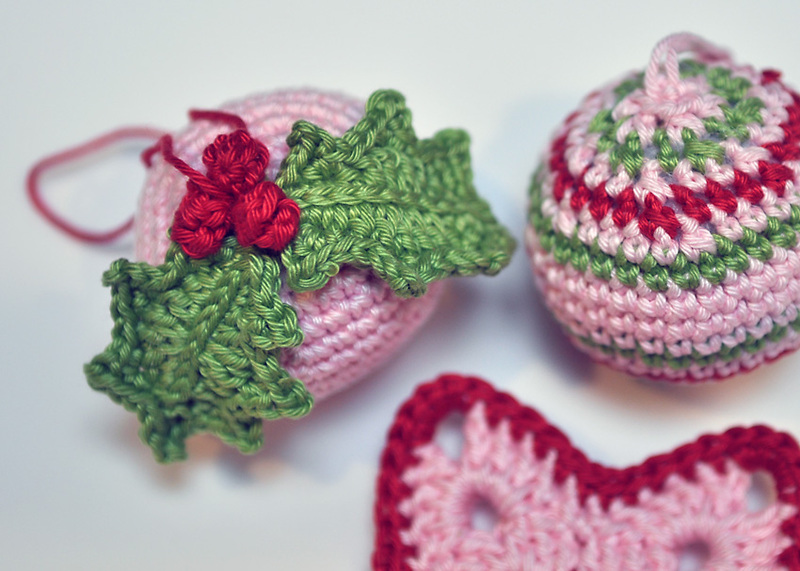 Buy some pink, red & green baubles for your tree!!! These are fantastic. I literally want to go out, buy the same yarn and copy you!!!! I had to repost this. I LOVE these decorations and these colours! Simply lovely. And lovely photos too. What great colors! They remind me of candy cane ice cream. I’m inspired! 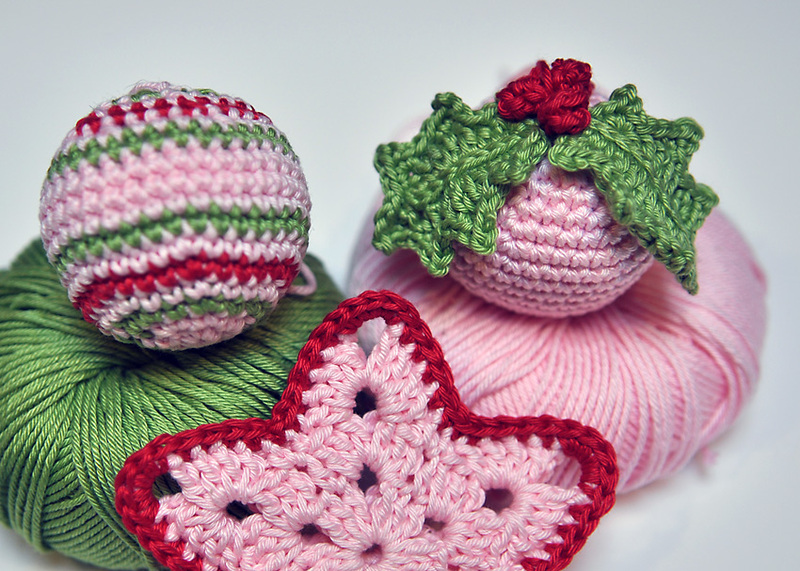 Great ornaments and colors. Love it!